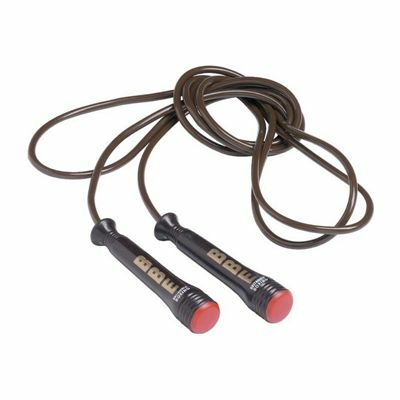 The BBE Pro nylon-boxed speed rope weighs 0.14kg (0.3lbs) and is fitted with easy grip ergonomic handles for added comfort. The rope is 9ft (274cm) long and helps boxers to improve stamina and rhythm. This great value for money tool is produced from rubber/nylon and ensures smooth action and ultimate exercising pleasure. for submitting product review about BBE Pro 9ft Nylon-Boxed Speed Rope.